I’m the Founder of Females in Food; award-winning business coach and mentor; advocate for women-led small businesses; and a bonafide, gold-plated, passionate foodie. cash flow is a real struggle. I know you get this, right? 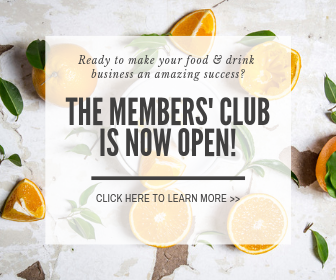 So, I created Females in Food to give creatives like you a place to go to get specific hands-on help, a place to surround yourself with people who ‘get you’, and a place that boosts your business at a price you can afford. My mission from day one has been very clear: I want YOU to build an amazingly successful food and drink business – so let me help you. Let’s turn your ideas into action and turn those struggles into success stories.